The ​Overwatch League Stage 1 Playoff bracket has been set. A couple of these teams have been absolutely dominant; a couple of them are surprises. Either way, all eight teams have a shot at ​$200,000. How could each team win this huge prize...or plunge out early? ​How they win: The Uprising's fortunes ride on main tank Cameron "Fusions" Bosworth. His stellar play has been a big reason why the Uprising have defied expectations so far. The team overall has also improved significantly as the stage went on. They also hold the distinction of taking the Excelsior to a Map 5 in the very first week of the stage. How they lose: Unfortunately for the Uprising, they face the undefeated Titans in their first game. They will come in as massive underdogs, but if the Uprising play to their potential, they could make this game close. Can Fusions stand up to the fearless Park "Bumper" Sang-beom? ​How they win: The Dynasty's latest acquisitions will need to play their best games yet. Flex player Choi "Michelle" Min-hyuk has been fabulous for the Dynasty and he will need to continue to do so. The "most handsome" main tank Baek "Fissure" Chan-hyung will need to kick it into high gear too. How they lose: What is alarming is that none of the Dynasty's wins so far this season have come against playoff-bound opponents. The Dynasty have never defeated the Excelsior in the regular season and could be quickly overwhelmed by the Excelsior's high level of play. ​How they win: The Shock will go far if their younger players don't shrink away from the spotlight, as this is the first time the Shock have made it to stage playoffs. DPS Jay "sinatraa" Won and main tank Matthew "super" DeLisi will be the key players that will lead the Shock to victory. How they lose: If nerves get to the Shock early on, the team could very easily tilt and tumble out of the playoffs. 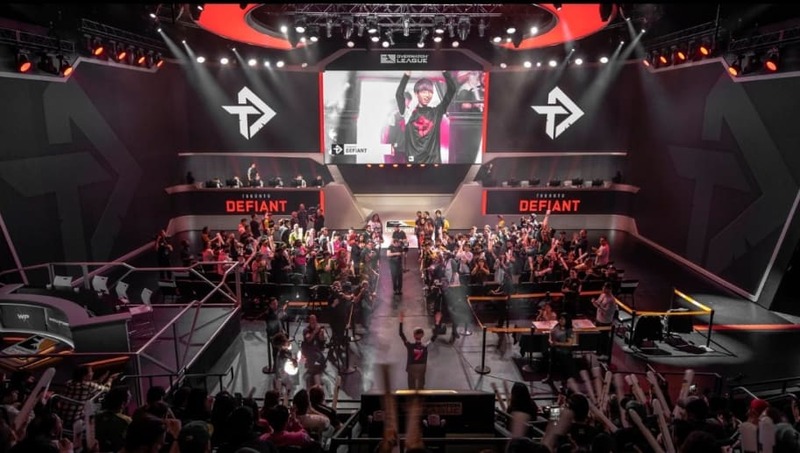 The Defiant are a solid team with stellar DPS players that will punish every mistake the Shock make. ​How they win: The Reign's most consistent players have been support Petja "Masaa" Kantanen and flex tank Seo "Daco" Dong-hyung. They will be making the impactful, clutch plays that help the Reign win in close matches. How they lose: Daniel "dafran" Franseca has been the star player, but he has also been a liability. He is a good Zarya who charges his ultimate fast, but all too often, he wastes his ultimate. Good teams will severely punish this careless play. ​How they win: As mentioned earlier, Lee "Ivy" Seung-hyun and Lee "Stellar" Do-hyung have been a rock solid, highly underrated DPS duo. They have the potential to bring back what looks like lost fights for the Defiant. How they lose: Main tank Jo "Yakpung" Gyeong-mu is probably the team's biggest weakness. He is a good player, but has looked outclassed against stronger main tanks. In the GOATS meta, this is a problem. ​How they win: The Fusion's lineup has not changed since they were runner-ups last season. Thus, they have what looks to be the most experienced roster in the playoffs. They may not have the strongest players, but each player for the Fusion knows what it takes to be competitive in the post season. How they lose: Like in the case of the Defiant, main tank Kim "SADO" Su-Min has the potential to play well, but all too often, he is the first to fall or gets picked off early in team fights. Fusion will need to keep their main tank alive or else they will be steamrolled. ​How they win: There are too many ways for the Excelsior to win. With some of the best players in every role, the Excelsior are disciplined and play patiently. They will win any team fight where their opponent makes the slightest of mistakes. How they lose: The Excelsior can't afford to underestimate their opponent, as the Uprising and the winless Valiant both took the Excelsior to a map 5. There is also the curse of failing to clutch out playoff games that the Excelsior will need to shake off. ​How they win: The Titans' dominant victory against the Charge prove that the Titans will respect any opponent. They are just as strong, if not stronger, than the Excelsior in some roles. The Titan's crisp teamwork and camaraderie will be, and has been, one of their strongest assets. How they lose: The most likely scenario where the Titans lose will be in a close match against the Excelsior in the finals. The winner of such a match up will truly be the strongest Overwatch team in the world.